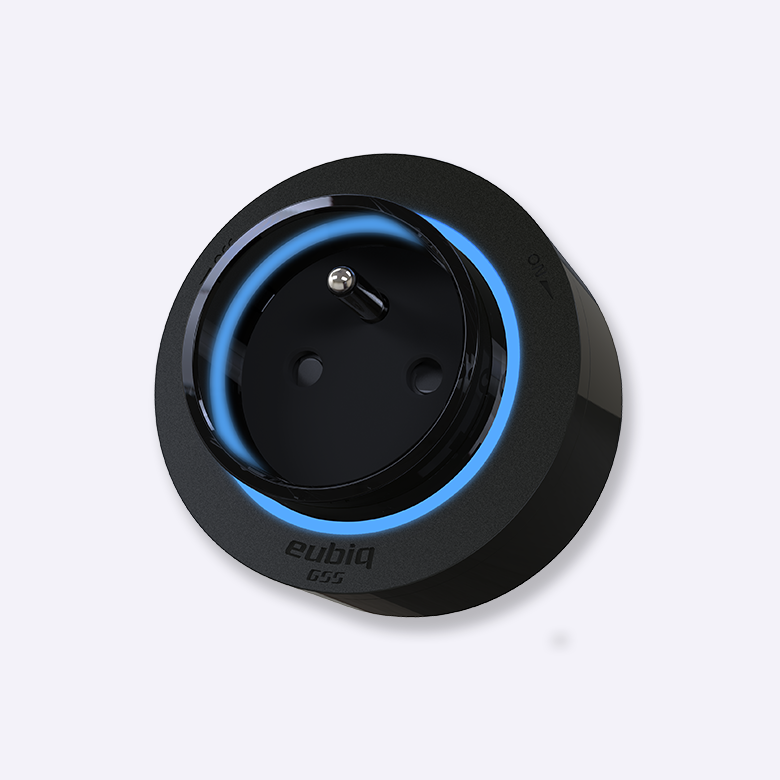 The terminal of the Eubiq system: a simple rotation in clockwise direction activates the adapter, allowing to insert all the plugs and utilities. 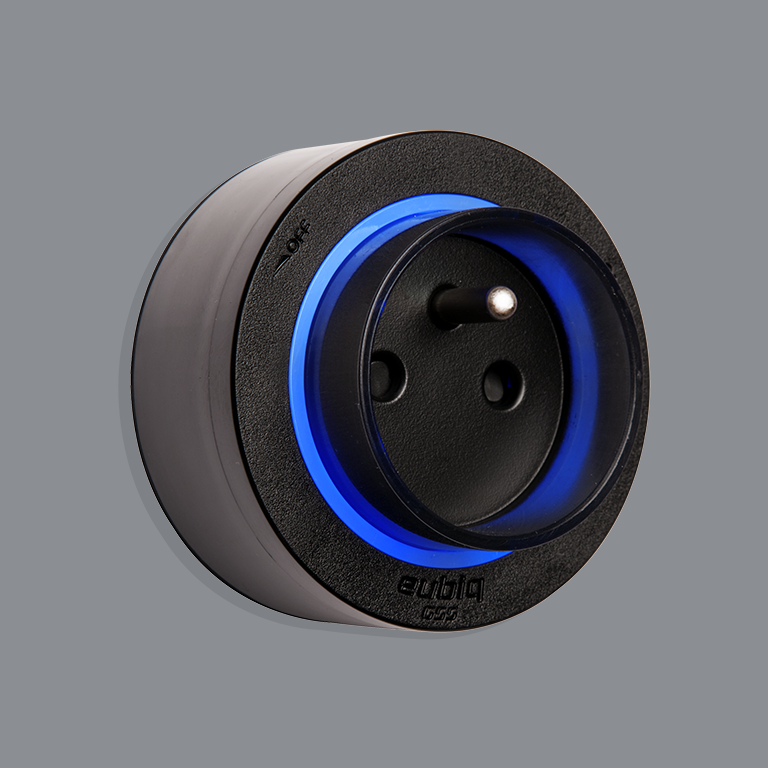 An elegant electric blue LED will signal you when it is powered. Inside there is an ON / OFF switch that is activated by rotation, you can turn off the adapter, turning it slightly counter-clockwise, while still keeping it in position on the Power Track.